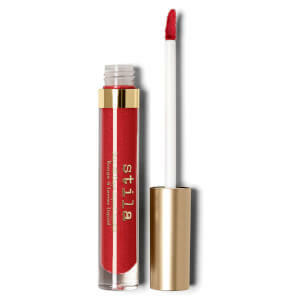 Accentuate your pout with Stila's Stay All Day® Sheer Liquid Lipstick; a long-wearing formula that applies effortlessly to saturate lips in translucent, matte colour that won't bleed or transfer. Enriched with nourishing Vitamin E and Avocado Oil, the ultra-hydrating, water-resistant lipstick moisturises and protects lips to leave them feeling soft, comfortable and kissable around the clock. Expect a subtle, light wash of colour that stays put for up to twelve hours. Sweep colour on lips and blend. Isododecane, Mica, Dimethicone, Trimethylsiloxysilicate, Polybutene, Petrolatum, Cyclohexasiloxane, Kaolin, Disteardimonium Hectorite, Beeswax/Cera Alba/Cire D'abeille, Silica Dimethyl Silylate, Flavor/Aroma, Glyceryl Behenate/Eicosadioate, Propylene Carbonate, Persea Gratissima (Avocado) Oil, Tocopherol, Aluminum Hydroxide, Cyclopentasiloxane, Barium Sulfate, Rosin/Colorphonium/Colophane, Benzyl Alcohol. (+/-) Titanium Dioxide (Ci 77891), Red 7 Lake (Ci 15850), Iron Oxides (Ci 77491), Blue 1 Lake (Ci 42090). Ingredients will vary by shade. Please check individual packaging for most accurate ingredients.